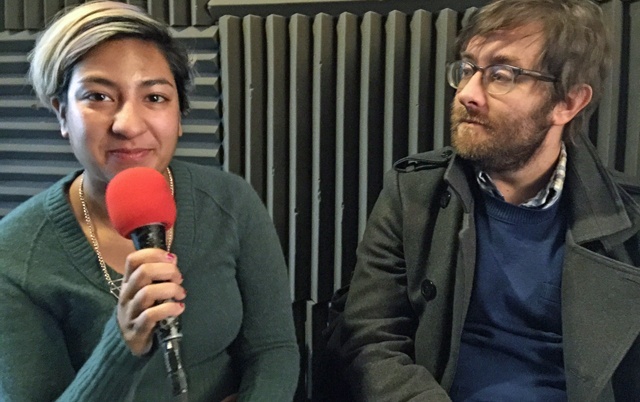 In this episode, which is dedicated to the memory of the recently deceased Al Maysles, my guests include documentary filmmaking couple Farihah Zaman & Jeff Reichert. Their first feature, "Remote Area Medical", is now available on digital platforms such as iTunes and Amazon. It will be available on Netflix later this year. They also have a newer documentary which premiered at Tribeca Film Festival last year called This Time Next Year about the devastation left in the wake of super storm Sandy to the tight knit community of Long Beach Island. The film is still in the festival circuit. Next up, filmmaker Eric Steel who discusses the upcoming 10th year anniversary of his seminal documentary "The Bridge". For one year Eric and his crew filmed San Francisco's Golden Gate Bridge and all the suicidal people who leapt from its span. The filmmaker interviews survivors, family members, and witnesses. It's a powerful film which advocates for those with battling depression and mental illness. Kino Lorber has recently re-issued the film on Blu-ray. Last but not least, another in the series from my podcasting from the set of the new "The Missing Girl". This time up —after actors Robert Longstreet, Alexia Rasmussen & Thomas Jay Ryan, plus editor Michael Taylor— is the director, A.D. Calvo. The film is still very much in the festival submission phase and the plans are to release the last interview from the set with producer Mike Ryan, then pick up the story at its premiere.